A very beautiful jewelry chest. I love the grain selection with the birdseye maple. A major lathe upgrade for Mr. Toth. I’m looking forward to seeing this thing in action. I included it here because it’s always interesting seeing someone’s approach at handling heavy machinery by themselves. The lever is always your friend in situations like this. 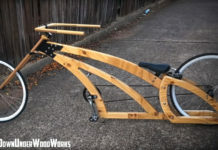 I can’t imagine using the scroll saw to make all of those cuts. Beautiful end result! Here’s another from Reaganite71. 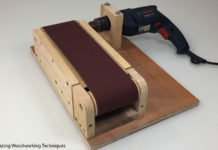 This time a useful sanding pad for the shop. 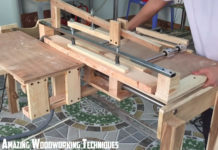 As the title says, just another dovetailing video. What I found really interesting was the technique he used to transfer some graphite from the tails to the pins to help identify the tight areas. The jig he uses to sand the assembled drawer is interesting as well. Speaking of outdoor chairs… Here’s another comfortable looking chair. A king size deck chair! The number of fine details included in this door is crazy. Everything about it is great but that window….that window! I’m not sure what to say. Just watch it and try not to drool. This is one of those jigs that I have wanted to make for so long but don’t think I’ll ever get around to making due to procrastination. One day! You always have a very professional newsletter! 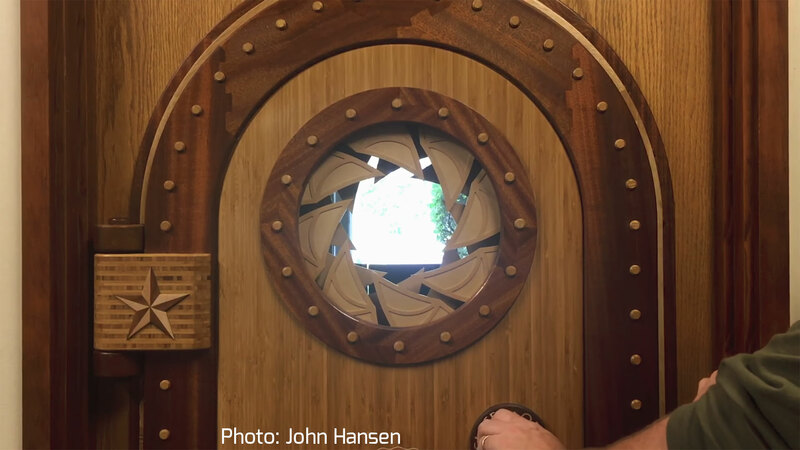 The nautical themed door is the most amazing piece of WORKING, woodworking / art that I have ever seen! I wonder how long it took to design, fabricate & assemble the project. My hat goes off to the artist. truly amazing!